When Ski Lifts Go Wrong challenges players to build infrastructures to transport eager riders from one side of a mountain to the other. You must construct ski-themed courses by rigging chair lifts, gondolas and ramps, then directly control your riders to get them to the finish line unharmed. But remember, realistic physics means realistic disasters, so don’t be surprised when your slipshod constructions send hapless skiers plummeting to their doom! On PC, the game includes an MP4 video and GIF export feature so you can share your hilarious moments with friends. 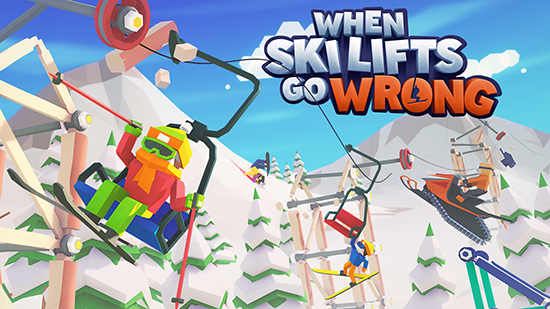 When Ski Lifts Go Wrong will soon be evolving out of Steam Early Access and entering its full commercial launch.